Caption This: Former California Gov. 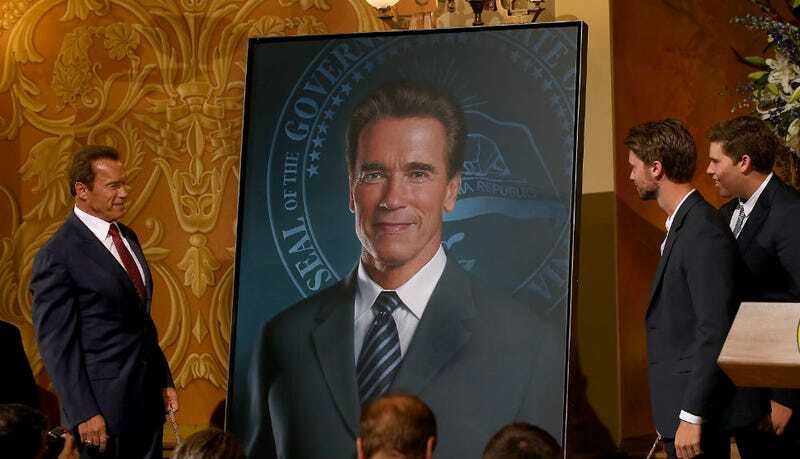 Arnold Schwarzenegger (L) looks at his official gubernatorial portrait with his sons Patrick (C) and Christopher (R) during an unveiling ceremony in the Rotunda of the State Capitol on September 8, 2014 in Sacramento, California. Former California Gov. Arnold Schwarzenegger was joined by current Gov. Jerry Brown to unveil his official gubernatorial portrait at the State Capitol.